BNP Paribas has been present in Portugal since 1985. It is the only operational branch belonging to a French bank and one of the largest foreign institutions in the country. Operating through 9 affiliates and branches, it covers the Group’s 2 core businesses: Corporate and Institutional Banking, and International Retail Banking & Services. In Portugal, more than 1,800 professionals work to provide a sophisticated range of services to nearly 1,800,000 clients. The services offered to our corporate and institutional clients cover a full range of areas: capital markets, structured finance, commercial banking, asset management, securities services, leasing, factoring, account services and vehicle management services. An experienced local team offers consumer finance and insurance products and services to our individual clients. BNP Paribas Portugal has also implemented a financial services center of excellence, devoted to provide services to different group entities in the country and internationally. 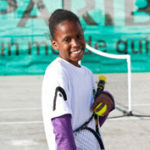 BNP Paribas in Portugal supports Academia dos Champs (ADC), a social integration project founded in 2009. Its main goal is to demonstrate the benefits of sport as a philosophy because it helps open up paths and new opportunities to lead happier and healthier lives.